Wolfram Winter of Sky Deutschland GmbH in Bavaria, Germany, is Chair of the Committee to judge the Public Relations Awards, Video Awards and Publication Awards categories in the 2016 (2nd annual) German Stevie Awards. He was named Executive of the Year in the Corporate Communications, Investor Relations and Public Relations categories of the 2015 German Stevie Awards; and under his leadership, Sky Deutschland won a Gold Stevie Award for Company of the Year-Media & Entertainment in the Company/Organization Awards categories of The 2015 International Business Awards. The German Stevie Awards final entry deadline is February 12. Find out more here. The 2016 International Business Awards opened this month and is now accepting entries. Find out more about how to enter here. Wolfram Winter is Executive Vice President of Communications, Public Affairs & Advertising Sales at Sky Deutschland GmbH, and is Managing Director of Sky Media GmbH, a wholly owned subsidiary of Sky Deutschland. Winter is a senior spokesperson for the entertainment group and is responsible for the marketing of advertising time on all Sky platforms. As a winner of Gold Stevie Awards in both the German Stevie Awards and the International Business Awards in 2015, we asked Wolfram what he felt made it important to participate in these competitions. Judging of the German Stevie Awards opened on February 5 and will continue through February 19. If you would like to participate, complete the application here. 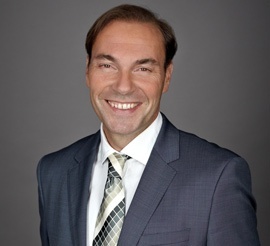 Wolfram Winter is Executive Vice President Communications, Public Affairs & Advertising Sales at Sky Deutschland and Managing Director of Sky Media GmbH, a 100% subsidiary of Sky Deutschland. With a degree in political science and training in journalism, he is responsible for representing the entertainment company as its senior spokesperson as well as the advertising sales business across all Sky platforms. In 2007, he founded Premiere Star GmbH, a distribution platform for the pay-TV broadcaster, which was completely acquired by Sky Deutschland in 2009. Before that, he served as Managing Director of NBC Universal Global Networks Deutschland, where he oversaw television activities in Germany, Austria, and Switzerland. Prior to that, he was the programming manager of DF1, a predecessor of Sky Deutschland GmbH.